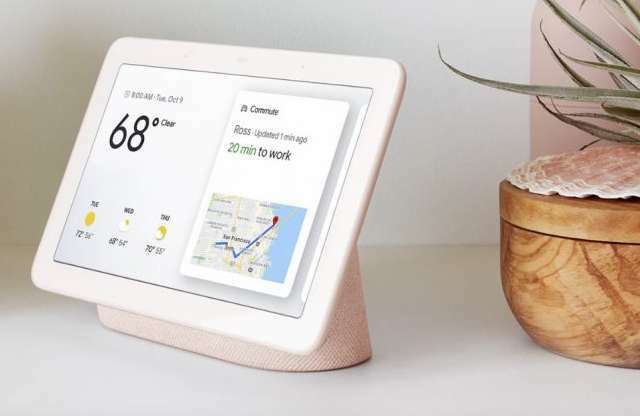 Google alongside with its 2018 Pixel device also launched the Home Hub, the company's first smart home device to have a display. This takes the "Google Home" product to a whole new level. Not only is the Home Hub bigger, but it is also smarter than the rest of its family. As could be guessed, it comes loaded with Google Assistant; which will enable users to check their emails, buy items, request weather info and do lots more using their voice. The Home Hub 7-inch display is touch-sensitive and can be operated with hand. This provide visual details of ongoing activities, and access to some special features. 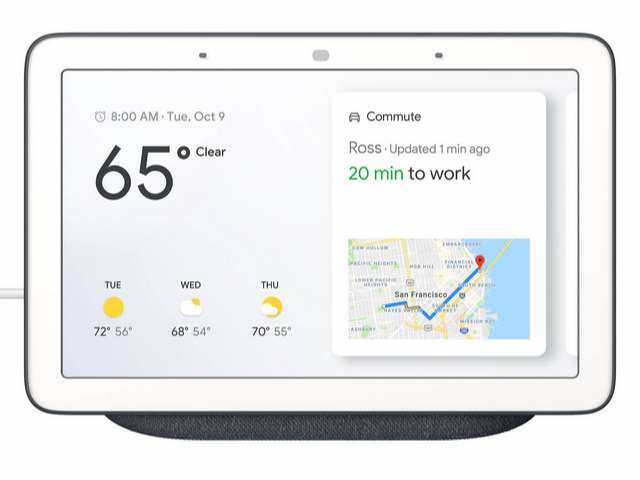 With the Home Hub display, users can view YouTube videos, use Google search, use Google maps, browse their pictures on Google Photos, edit their calendar, and do much more. It does not have a camera so video calling is not supported. The lack of a camera, however, do provide comfort in placing the device in a private sensitive place without the fear of being spied on (Amazon may not agree with that). The place of the camera at top of the display is taken by the Ambient EQ light sensor, which can sense the ambient lighting in a room and automatically adjust to the lighting. One of the good uses of this feature is that it will automatically deam the display brightness at night when you are about to sleep, easing you the stress of manually adjusting the brightness when you are about to go to bed. Another feature worth talking about is "Routines". This provides a personalized useful information about the day ahead visually on the screen. Your calendar, reminders, weather forecast for the day, and commute on Google maps will be presented on the display. Routines is fully personalized, and with "Voice Match", up to six people in the home can get their own personalized Routine. The "Hub" in the device naming does have a purpose. The Google Home Hub can be used to control over 10,000 smart home devices from over 1000 manufacturers globally, which makes it a master hub in getting things done quickly in your home. From unlocking the door to turning the TV on to dimming the smart Hue bulb, Home Hub got you covered. If you are thinking about streaming audio, Google's new product also got you covered. Popular music streaming platforms are supported, including Sportify, iHeartRadio, and Pandora. Moreover, the company is giving out 6 months free YouTube Premium with every purchase. The Google Home Hub is available for pre-order on Google Store for $149,99. Buyers can get one on shelves at Best Buy, Wal-Mart, Target and other select stores from October 22nd.